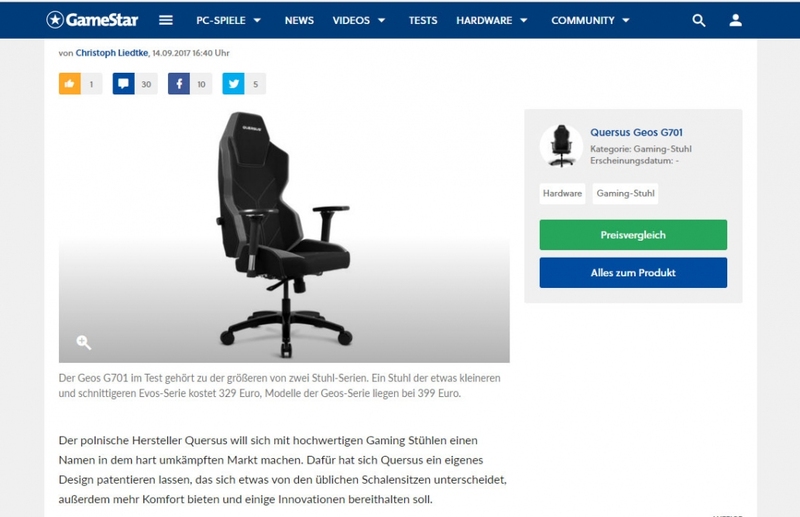 The German GameStar magazine which deals with computer games has taken a close look at one of the Quersus chairs. The black and grey Geos 701, covered in high quality breathable fabric with grey faux leather inserts, has gone under the magnifying glass. The article with the chair review is available on the Magazine’s website and will also appear in the supplement with tests/reviews (GameStar 11/2017).